I as with the first one I decided I’d let the characters comment on their own art style. 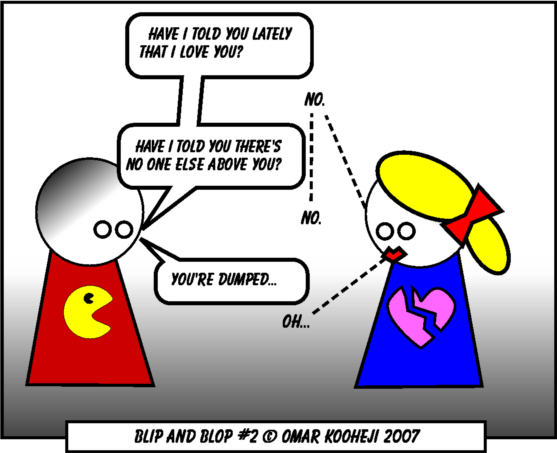 This is the last of the original Blip and Blop comics. I’ll maybe do some more, I have a couple of Ideas. Blip and Blop Number 2, I decided to add another character… Still experimenting with the art style. 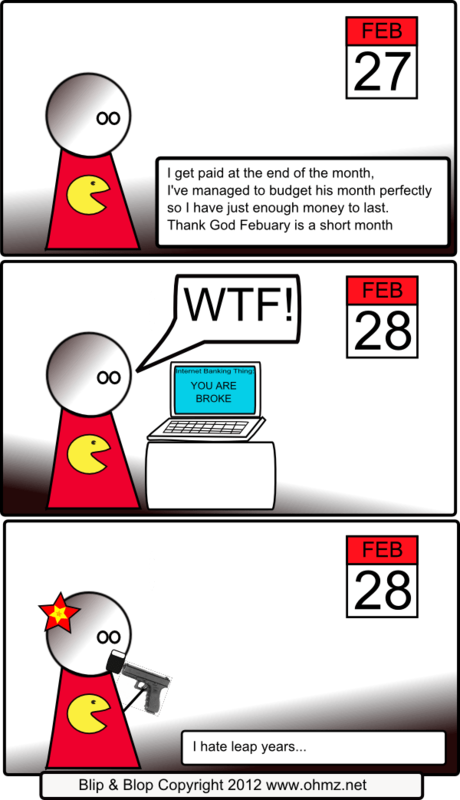 A long time ago I decided I’d try my hand at doing a web-comic. Just rescued these images off and old hard drive. 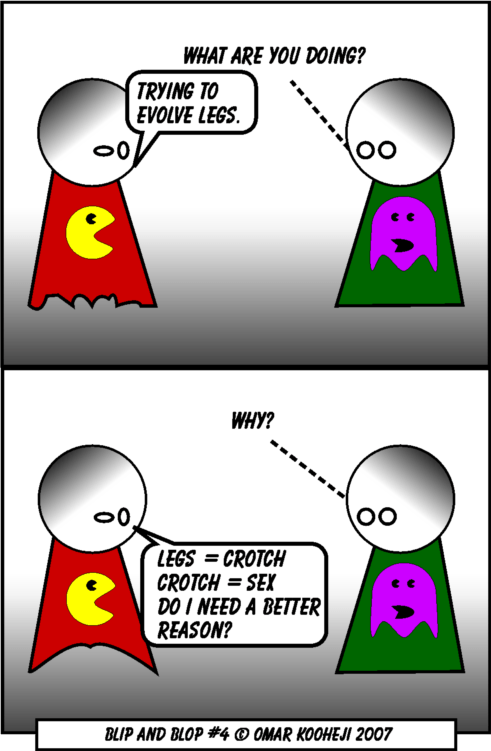 I’ve only got 4 comics but I might try and make some more. 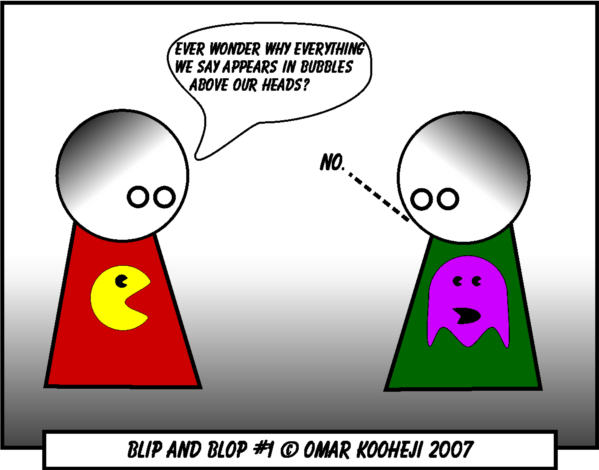 I couldn’t think of a name so I called it Blip and Blop which is supposed to be the name of the two Characters. I’ll set-up WordPress to autopost the ones I have over the next couple of days and if I make more I’ll investigate putting together an actual web comic site for them.